Another motorcycle riding season has arrived. Every day, thousands of motorcyclists will hit the open road for summer fun, packed with motorcycle rallies, bike races, bike nights, group rides and scenic tours. The Motorcycle Accident Lawyers at Tenn And Tenn, P.A. remind you to spend a few minutes to review your motorcycle insurance policy. Having ample motorcycle insurance coverage will help protect you and your passenger if you’re involved in a motorcycle accident. As motorcycle insurance is not required in New Hampshire, many riders opt to go without coverage. Our Iron Horse Lawyers don’t recommend this course of action. Basic motorcycle insurance coverage is affordable and offers some protection in the event of a motorcycle crash. Liability insurance, uninsured motorist coverage, property damage and medical payments coverage are basic coverage options that every motorcyclist should have. 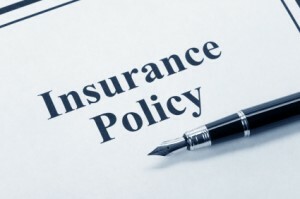 Minimum insurance coverage is better than no insurance coverage. But, minimum coverage will not be sufficient to protect your financial wellbeing in the long run. The NH minimum bodily injury limits are $25,000. Our NH personal Injury Attorneys recommend that you carry at least $100,000/$300,000. To protect yourself against Uninsured/Underinsured Motorists, you should maintain a minimum of $100,000 coverage per person, and $300,000 per occurrence. Medical insurance is available to cover the costs of your doctors and hospital bills. Consider carrying at least $10,000 of medical payments coverage. Before hitting the open road this summer, talk to an insurance agent about purchasing motorcycle coverage and options that are right for you. If you have a few extra dollars to spend, consider increasing the basic motorcycle insurance coverage discussed above, and opt for additional coverage like Added Equipment coverage and Roadside Assistance. A Personal Excess Liability policy or an Umbrella policy is a great way to have a hefty insurance policy to offer protection in the event of a catastrophic loss. Motorcycle accident victims often suffer from prolonged periods of physical disability. Worrying about whether or not the at-fault party has insurance to cover your losses adds insult to injury. Maintaining your own full and adequate motorcycle insurance policy provides the peace-of-mind in knowing that you are covered in the event of a collision. If you or a loved one sustain personal injuries in a motorcycle accident, the personal injury attorneys in Manchester, NH are here to help. We can be reached on our Toll Free Injury Helpline at 1-888-511-1010. Our motorcycle injury lawyers are bikers themselves and are here to help you get back on the open road.